Question: The asin provided for this filter does not work. i need to order a replacement filter. can you give me the correct info please? Answer: This is the link that I have used for the right replacement filter. It looks like they are out of stock at this time. Hopefully they will be available soon. Question: Is this fine/efficiant to place on a carpeted floor? Answer: yes, it can be placed on carpet. Question: How is the voice quality with the headphone jack? Answer: Our headphone jack has great quality but it’s also up to the voice quality of your earbuds. Question: Where do I purchase the replacement filters and how often do they need to be replaced? Question: Does this work on an iPad Pro? Answer: sure，you can have a suitble product. Question: Does it arrive with first filter already supplied or do you have to order the first filter separately? Before I purchase this purifier I was make a lot of research, finally I decided to buy this one, when I received it , so surprised me, every easy to set it up, the direction for the operation of the purifier were easy to follow. The design is very modern. The option is very easy to use, and kids also can control it, My home is not well ventilated, make me headache when I cooking and in the hot weather, but after I use this purifier, the air will be purified in 15 minutes, that is so amazing, we love the fry food, you will know the poor quality of the air through this machine, It help us a lot, I used this purifier for months, highly recommend. Very nice product. Love its portability and effectiveness Quiet, 3 speed, timer, and ‘sleep’ mode that operates in a lights down super quiet mode.. Received this air purifier as a gift from a friend. The shower head in the guest bathroom leaked water and we felt there was probably mold growing in the room. We used this machine to refresh the air. It works great so far. Great price for the performance! I like how quiet it is on Auto mode which is what I’ve mostly kept it on since we bought it. I also like the sleep mode for night time use as it turns the lights off on the machine. This air purifier really works well. my home range hood power is not that strong. Every time after cook the smell stay long time. But this air purifier quickly eliminates the smell of cooking. This was purchased as part of a multi-pronged attack on some bad dust allergies that have been worse this year than ever for some reason. It does seem to be helping as I haven’t had to take any allergy meds since I have had this running 24/7 on speed 2. It is running in the main area of a 900 sq ft apartment. Pictured is the filter after one week, which I plan on vacuuming weekly or fortnightly. Low speed is so quiet you’re not sure it’s on (it is), medium is still very quiet, high is noisy. I am very happy so far and it seems to be doing the job even though it is in a larger area than it says it covers. My logic is that it only needs to do “enough’. If it works, it works, and so long as it helps to the extent that I no longer want to gouge my eyes with a fork, I consider it a win and worth every penny. I love this air purifier, it looks nice. I put in my beedroom. It has helped me breathe better at night,and sleep better. Just got this air purifier on time for my holiday meals! Cook steak yesterday, the whole apartment was cover with smoke and steak flavor. It went off soon after i turn on the machine. I was excited to see the change of color on the machine. It was green at first and then when it senses the smoky steak, it turns to red! I had it on highest speed. It was not loud. The lower fan doesnt make much sound. Totally love it! 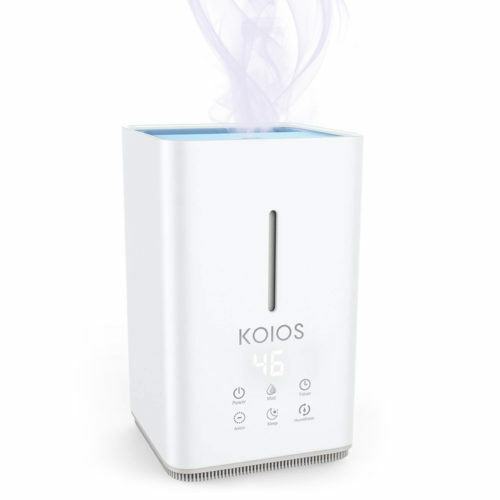 A Must have air purifier machine. It is white and very modern! Definitely recommended to my friend. One of the top-rated purifier. My brother had pretty serious allergy around Nov – Dec in the last couple years, which make him sicked during winter and spread the germs to my family all the time. So I bought this purifier before Thanksgiving for my family. I wasn’t home until Christmas Eve, so when I arrived home last weekend I noticed the fresher smell (own a cat and a dog, so you know that smell). My family was very pleased with how it helps with my brother’s allergy. 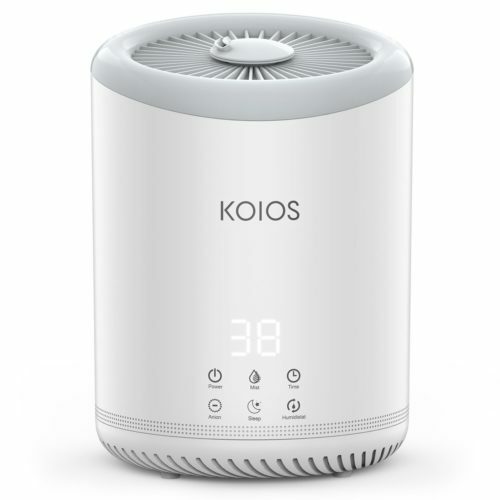 I played around with the setting during the weekend and I was surprised how quiet this purifier is, you can barely hear anything from it and I had to check if it was running at all 🙂 Great quality, the only Con is it is too big for a traveller like me… So I will probably try a smaller portable purifier from Koios! Awesome job! We received this as a gift and installed it in kitchen. It worked really well removing the odor from cooking. The air is a lot fresher and I did not notice the noise with all the activities at kitchen. I am happy with this is product. Got this for our house as we have old floor boards and therefore a lot of dust. This keeps the dust at bay and I have also notices my husbands hay fever has reduced significantly. Since we don’t have much rains in Utah so the air quality could be bad a lot of times. We only had one time snow so far this year. Bought this one as a Xmas gift for my wife and she loves it. Works great and easy to use. I get this air purifier for my parents. They live in nyc in a apartment. This purifier cover average up to 387ft, enough for their space need. Very quite operation can be use for 24/7. With 6 speed adjustments, night time can be turn to sleep mode didn’t bother at all. With three stage filtration, HEAP and preliminary filter n activated carbon filter they all can be replace. N light in front can tell the air quality. I’m impressed with this air cleaner. I used it in my bedroom, it is quiet and efficient. Air smells noticeably cleaner and fresher now. I’ll move it to basement later to filtering the air. 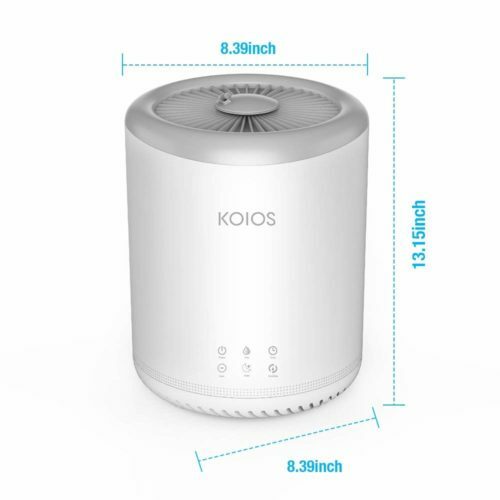 This is an absolutely good lightweight quality air purifier. 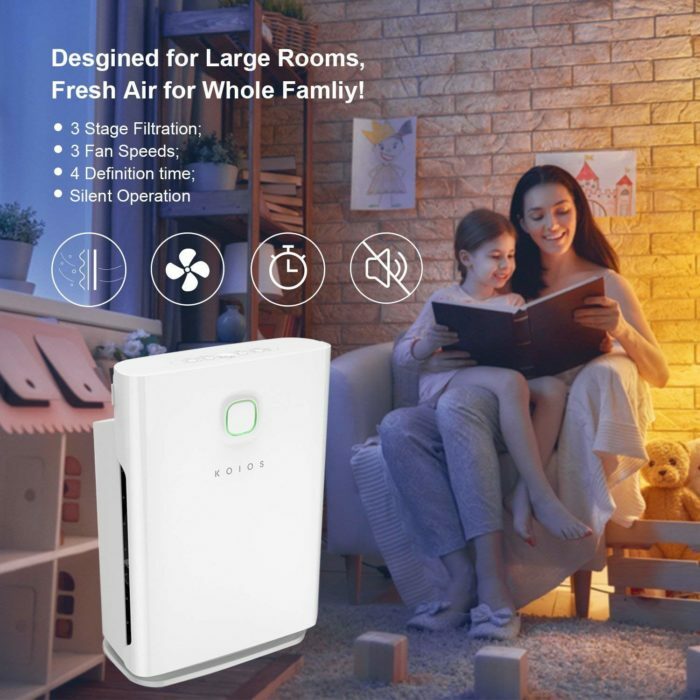 I have terrible with the allergies,it has really helped me to get better for sinuses.Doing a great job of cleaning the air,at night I use the sleep mode and it runs very quiet, has collected so much dust from the air, It was easy to install the filter and runs quiet and smooth. An amazing product for people with allergies! This is an amazing product! My older son has been suffering dust allergy a long time, we have spent a lot of money in medications, so since we started using this product, he is so much better and we can note It in the way he breaths! 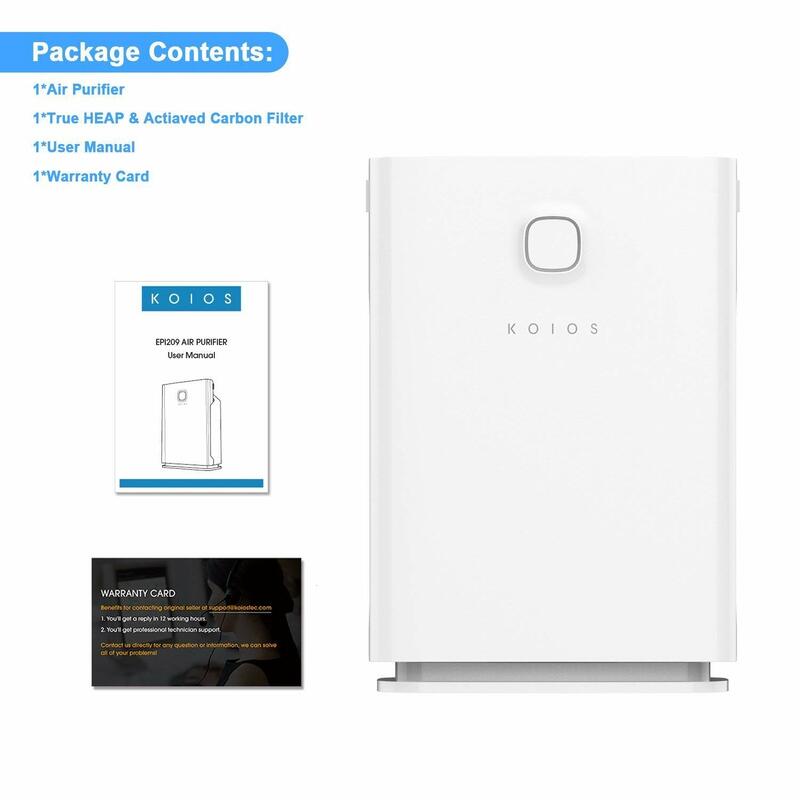 I had this Koios Air Purifier for couple of weeks and I have it on 24/7 since the day I received it. This Air Purifier is aesthetically pleasing and definitely would blend right in in most households no matter the location. I was quite impressed with the technology. This air purifier was very easy to assemble straight out of the box. It took five minutes the most. The directions for the operation of the purifier were easy to follow. I had it up and running very quickly. The overall look of the air purifier is very sleek and modern. I liked all the options available on the unit. 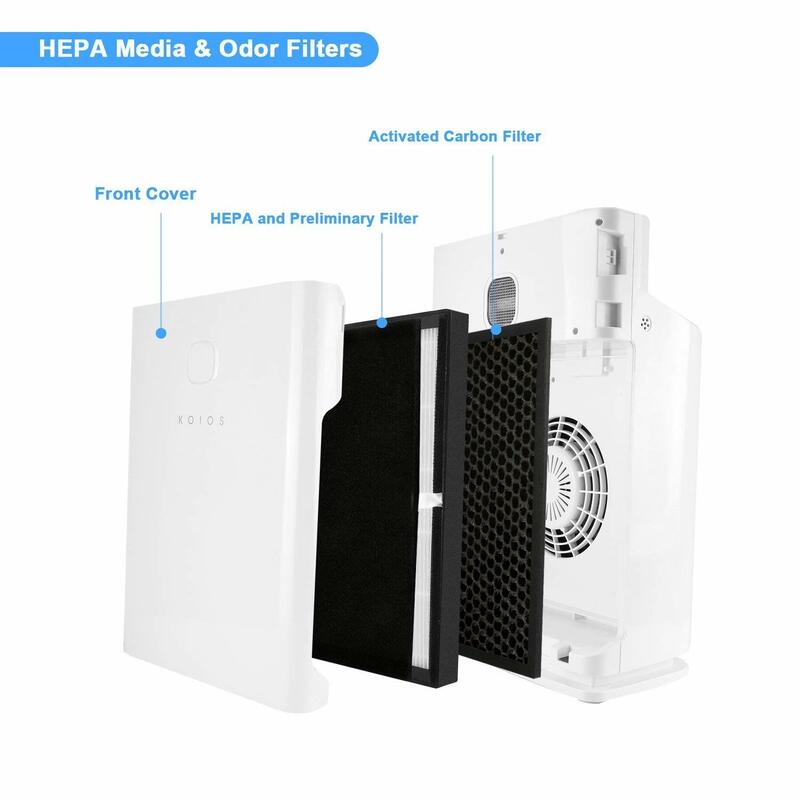 The filtration can help to remove airborne particles including pollen, ragweed and other allergens such as viruses, germs, dust mites, mold spores and cigarette smoke. It can also help eliminate odors from pets, smoking and cooking. This is definitely a plus if you have pets, like to =cook or fry food a lot. 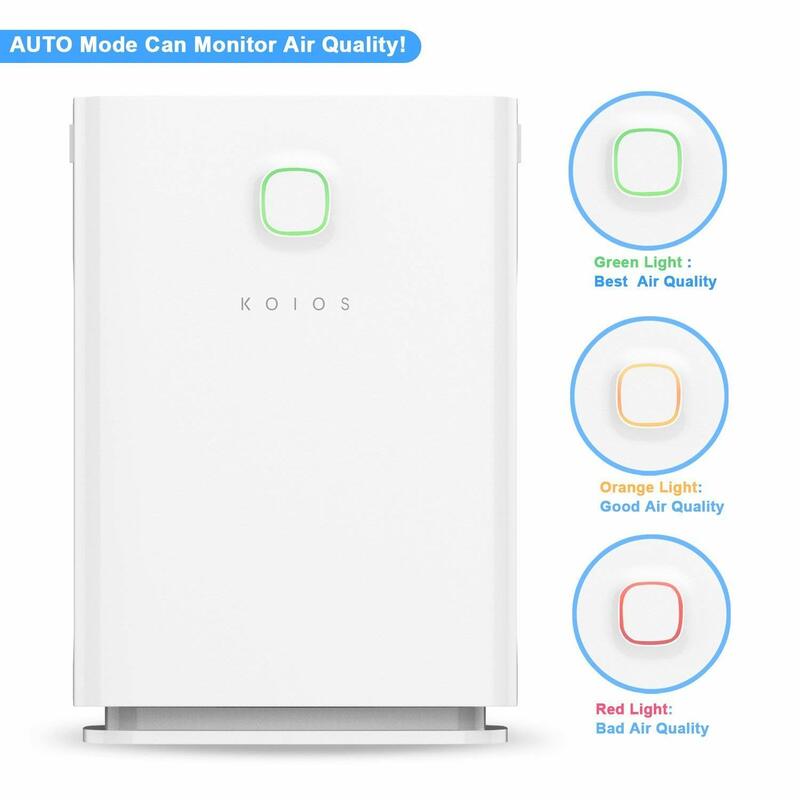 The machine itself can monitor the air if you have it on Auto mode, the air quality indicator light will change to green (best air quality), orange (good air quality) and red (bad air quality). I had noticed one day when I fry chicken nuggets and the purifier automatically detected the lowered quality of air and it progressively filtered the air itself. This unit is pretty quiet during operation and this motor operates with six different speeds. The sleeping mode was set as the lowest setting to produce fresh air as you sleep without disturbance. The operational buttons are easy to use and understand. I have a dog at home，so I buy this Air Purifier.Easy set up, great size. It is very quiet, powerful and easy to use. It is already helping my allergies so much. I especially loves quiet operation function. It has 6 speed,During sleeping time, no one will gets bothered for the noise. Has collected so much dust from the air. I was a little surprised It does a great job at keeping the dust, allergens and spells out of the air. Exactly as described.The item itself is very nice looking.This is by far the best air filter I’ve ever used. Highly recommend. This is great product. My son has allergies he sneezes all the time. Special at the morning when he just wake up. I got this air purifier only a few days. I can really tell a difference. 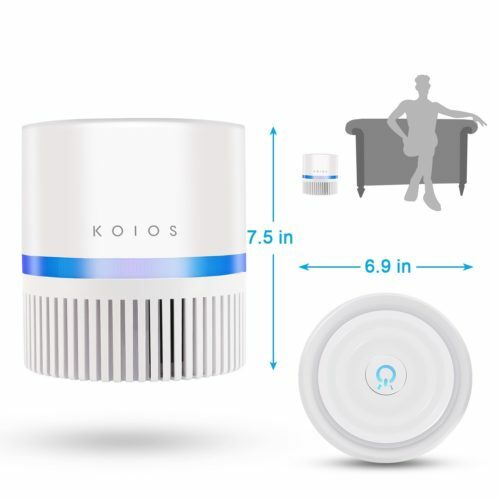 Bought this to get the dust out of the air in my house.winter weather caused a lot of static buildup in my house and every glossy in the house was attracting a ton of dust.I’m sleeping through the night without coughing and getting congested.I think this is a great product . This air purifier has a sleek design, fits perfectly on the corner of the house. There are three fan speeds and sleep mode. During the day, you just need to set it to automatic adjustment, it will get the job done. It operates with low volume, so it won’t disturb anyone in the house. 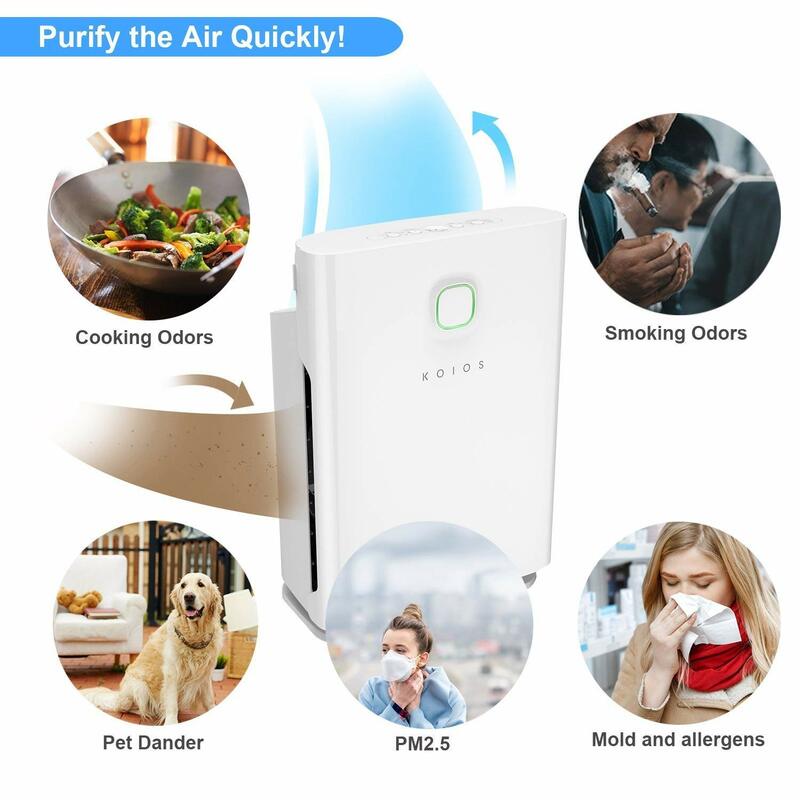 Overall it is a great product to remove the smell and keep air fresh inside your house, I recommend this to people who smoke and cook a lot inside the house. I recommend this for all smokers, people with pets, and people who have allergies. This air filtration system is whisper quiet so it won’t disturb anyone. The product is also faster at filtering the air than other air filters because it has two sided ventilation. It has a genuine high efficiency particulate air filter. It is very effective at relieving nasal congestion. This is my first air purifier purchase.It’s quiet and makes a bid difference in the quality of the air in my room. Love it . A stylish, very effective air purifier. I put this in a corner of the kitchen and I’ve pleasantly surprised at how well it has worked to get rid of the odors and smoke from cooking. It has great airflow, but it is really, really quiet, I don’t even notice that it’s there. Easy to use, and looks great too!. Replacing my 6 year old purifier. I didn’t hesistate to get a more modern looking purifier that does it’s job. This is when I found this gem. Let’s start with the design: an elegant/modern piece compare to other competitors with a reasonable price. In terms of sound production it’s pretty quiet on normal settings. One of the best feature basically I save it for last is the CHILDPROOF button as kids can get very curious with anything tech or basically anything within reach for them to play that makes sounds as they press random buttons. Overall I’m happy with this product. Its worth it’s very powerful, the noise in the higher speed its tolerant, i used 4 hours a day a 4 hours at night. It is already helping my allergies so much. The turbo setting is loud, but if you normally have a fan going, for noise, then it is perfect. While i am buying their Humidifier, amazon recommends the Air purifier to me. After i got this purifier, I cook some deep fry food. The kitchen and the house have very strong odors after this cooking. Only about 10-15 mins after I turn on this machine, the odors are gone,and the air is so fresh. How amazing! I am using it everyday now. I am very satisfied with it’s strong purification function. If you like to cook, but you don;t want the cooking odor stay in your house everywhere for long time. Try this air purifier in your the kitchen while you are doing cooking. It is free of noise and very quiet, perfect for night time without disturbing. 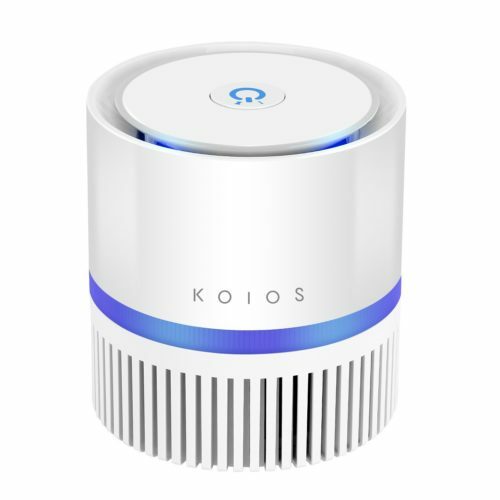 This air purifier works great for various functions. It has the function of a true FEPA filter. 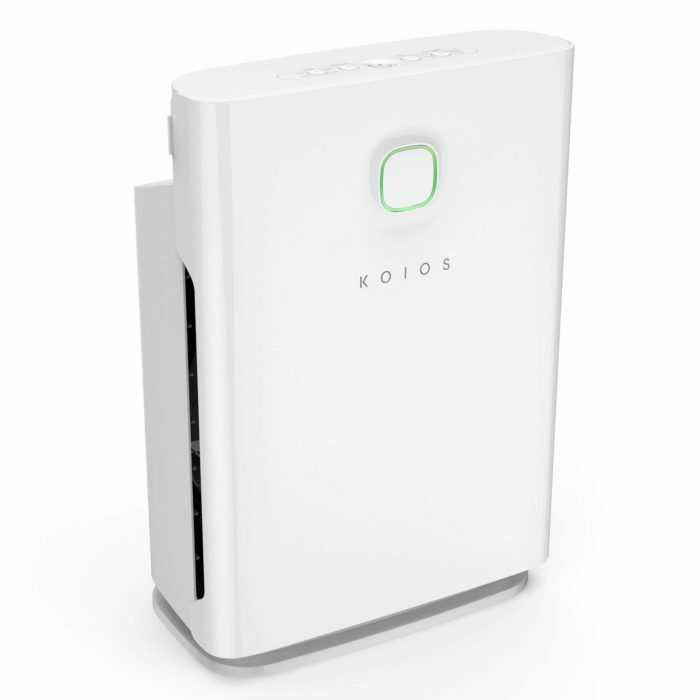 It eliminates air odor, allergen, dust, and pollen for indoor environment. It is a perfect air filtration for pets, smokers, babies, and cooking. It works efficiently and effectively for large rooms. The air purifier has a timer that I can set the time. 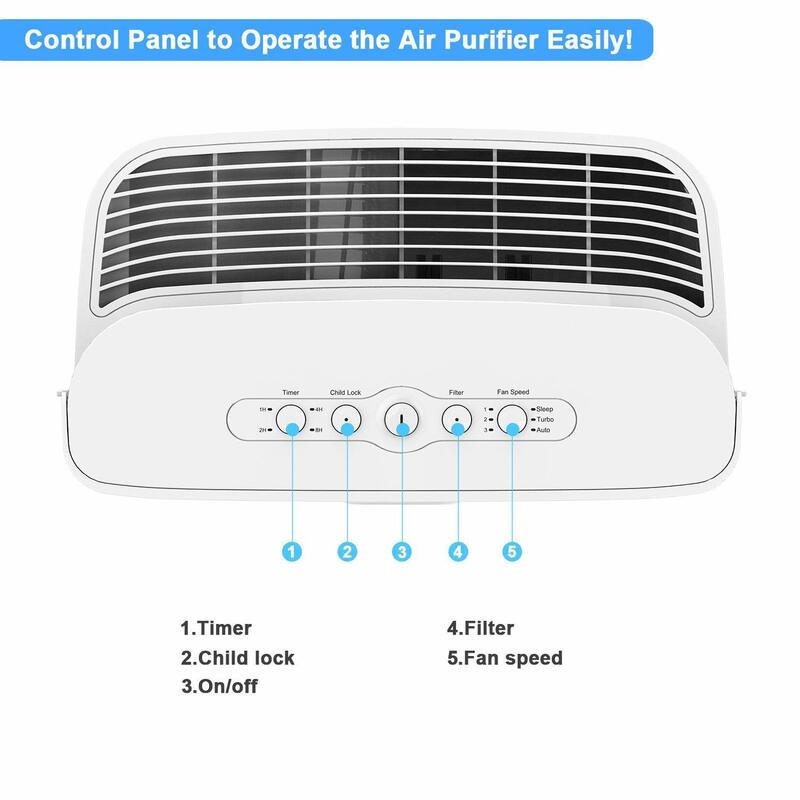 The timer function allow the air purifier to be on for a selected amount of time , such as 1,2,4 or 8 hours. It also has a child lock, which i don’t have any safety concerns with my children bring around. It keeps my rook free of smell. It is also free of noise and very quiet, perfect for night time without disturbing.